Up at the crack of dawn for the second day in a row to rack up some more miles on the road to see Stirling, Glencoe and Fort William. Before heading north we took a slight detour to Falkirk so I could catch up with my cousin, his wife and his dogs ‘Dennis’, ‘Greg’ and ‘George’. It was then off to drive through Stirling, a place where I had a more extensive stay in 1992. 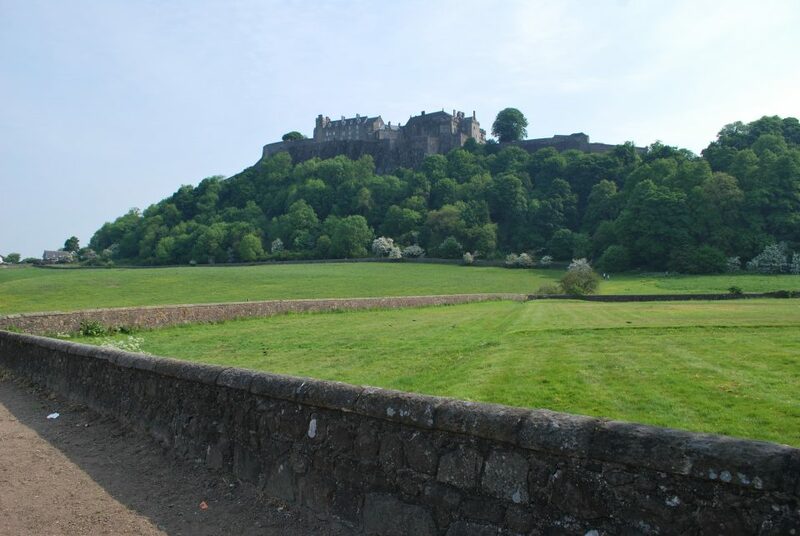 We managed to stop for a few moments to get a few photos of the impressive Stirling Castle. Yesterday’s theme of traffic came back to haunt us and due to an accident on the main road, we were forced to take the back roads to Callander. 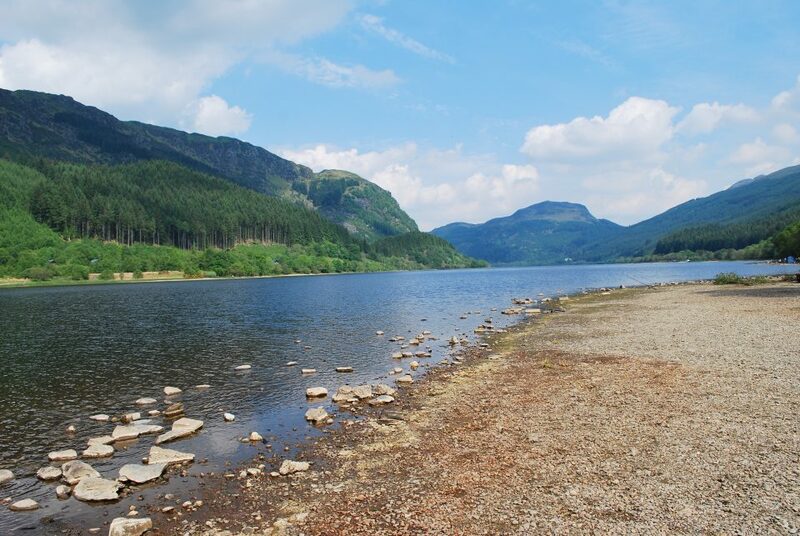 Not far from here is the impressive Loch Lubnaig. From there the scenery started to become more and more impressive. Firstly at Rannoch Moore which was desolate for miles around. 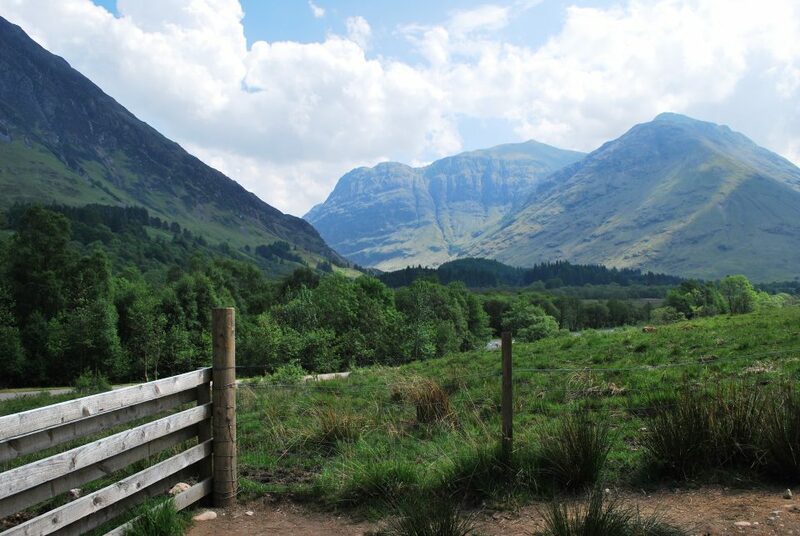 The second was Glencoe Pass which was unbelievable. The scenery here was the nicest I have ever seen in the UK. It was then onward to the Nevis Range of mountains. I did hope to get to the summit here via a cable car, but due to a cycle race, it was not open. Instead, we headed back to Fort William to have a quick walk around the town centre and to consume haddock and chips. It was then onward to Drumnadrochit to check into our cottage near Loch Ness. As I write this, I’m enjoying a pint of Thrappledouser in the Benleva Hotel while waiting for my Sea Bass fillets. Lovely photo. Would like to see some of the room and the cottage? Haddock and chips – yuk. Why didn’t you have some haggis! Shame about Nevis. Remember when we went up Ben Nevis in the cable car and someone had had a massive nose bleed! Could have cleaned it up before we got in there…! !